Stunning, single level 3 bedroom home with large courtyard, three car garage, formal dining and living room, two sided fireplace and super large master suite. Tile throughout interior of home. Dramatic vaulted ceilings and custom lighting in most rooms. Kitchen island, and lots of storage with breakfast area. Stunning front door and french doors throughout. 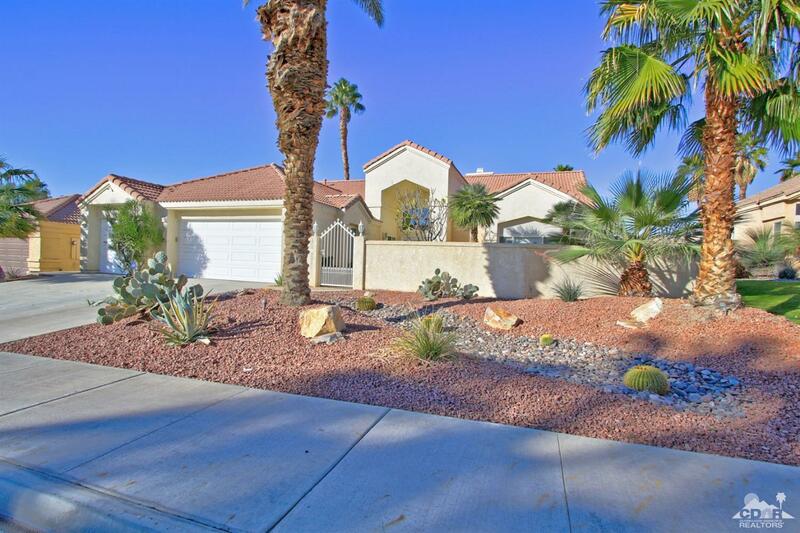 Desert landscaping and interlocking pavers in front and rear yards. Located on a culdesac and walking distance to schools. NO HOA dues.